Epic Soccer Training’s website is down. We will provide you with an update about the program as soon as we find out what’s happening. In the meantime, you can check out our list of the best soccer training programs. Soccer isn’t just a game. It’s also science, as well as an art form; you could even call it magic. And you can’t do magic if you’re not skilled enough. Fortunately, everybody knows what leads to perfection: hard work and practice, combined with innovation and creativity. Epic Soccer Training can give you all of that. 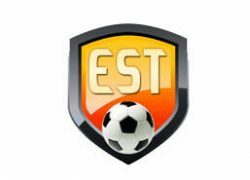 Epic Soccer Training was founded by two brothers, Matt and Chas Smith. They both played soccer in college and while Chas has remained a passionate soccer lover, Matt pursued the path of a professional soccer player. Since they love soccer and want to share their love with other soccer enthusiasts, they’ve come up with progressive tips and practices for both players and coaches. Moreover, they did their best to make premium soccer training tips affordable to anyone. Read our Epic Soccer Training review to find out more about Chas and Matt’s work. Do you think that Iniesta just woke up one day and knew how to perfectly pass the ball or shoot as precisely as a sniper? Certainly not! He’s got talent, but talent alone is not enough to become the best of the best. Therefore, don’t despair because your soccer skills aren’t perfect. Instead, focus on one goal at a time and you might just reach perfection. With Epic Soccer Training, you can polish your skills or start from the very beginning and climb your way to the top. Epic Soccer Training is a great choice for basically anyone who loves soccer. Although it is primarily created to help players make progress, it can be useful for coaches too. Matt Smith has introduced an innovative program that can boost your soccer playing or teaching skills. He focuses on the player, constantly reminding us that each team is as strong as its weakest member. It takes a lot of time and effort to become an extraordinary player, but if that’s what you truly want, then it’s definitely worth it. Epic Soccer Training provides you with new ideas you can use for personal training, but it can also help coaches guide their teams. By including some fresh exercises and more effective drills into your practices, you can become a great player or coach. One of the biggest advantages of the Epic Soccer Training program is that it can help anyone improve their game. It’s designed for players of all ages and skill levels. No matter whether you’re a complete beginner or a professional player, Epic Soccer Training can show you tricks you’ve never seen before. Coaches can learn something new as well. This program teaches you how to reshape your drills in order to get the most of them. You’ll learn how to coach your team to think and work hard, as creativity and strength are equally important when it comes to soccer. Furthermore, Epic Soccer Training sessions are designed to simulate the speed of a real-time game. Therefore, it’s very easy to use everything you’ve learned during an actual game. 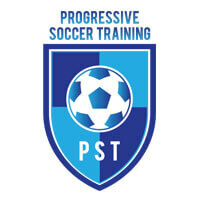 Probably the best part of this amazing soccer training program is that it’s very affordable. It comes in PDF and video formats and can be used on any platform. 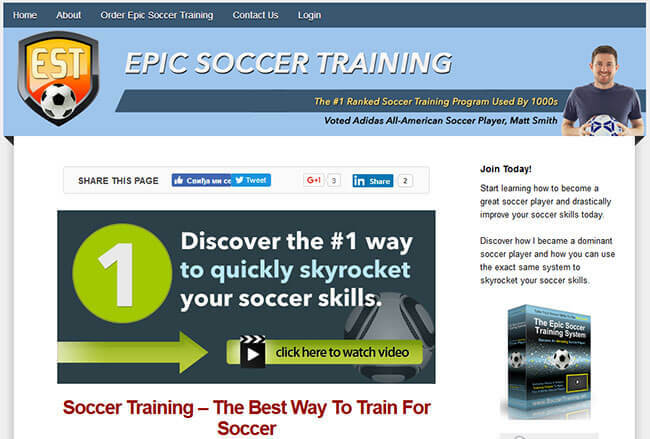 The Epic Soccer Training program can be extremely useful for every player, coach of soccer lover. This is a great program for anyone who wants to start learning or is looking for some new moves. Matt Smith has included everything he knows about soccer into the program and offers it to anyone willing to learn at an incredibly reasonable price. The Epic Soccer Training program includes 3 different modules: The Rock, The Cup, and The Factory. Each of these modules features different techniques, drills, tips, and videos. The Rock is designed for beginners and everyone who feels that they’ve missed something when they were starting. Also, it’s very useful for coaches who work with kids. It’s called “The Rock” because it’s meant to help players get a solid foundation. This is especially important for young players because once they have a strong, well-built foundation, they can easily boost their skills. The Cup brings you to a higher level of soccer mastery. It can teach you how to use both your strength and your brains while playing. It provides numerous innovative techniques and helps you learn all there is about dribbling, smart defense, and assertive offense. With the Cup, you can also learn how to create scoring chances, as well as how to get the ball more often. The Factory is the highest level of Epic Soccer Training, made to provide you with the most sophisticated maneuvers in the world of soccer. It reveals the secrets of becoming the best player on the field, but keep in mind that this doesn’t happen overnight. You have to be persistent enough to endure exhausting training sessions and improve yourself to perfection. But hey, that’s what you want, right? You can get your Epic Soccer Training material for only $79.94. The first payment is $39.97, which is billed the same day you order the Epic Soccer Training program. The second payment is also $39.97 and it is billed after a month. All the material is sent directly to you in PDF and video formats. If you’re still not sure whether you’d like to have Epic Soccer Training or not, you can test it for free for 60 days. Moreover, if you do order Epic Soccer Training but aren’t satisfied with it for any reason, you can get a refund within 30 days of your purchase and still keep your copy of the program. Additionally, Matt Smith has decided to share a bit more of his experience with you, so you’ll also get a gift with your order. Everyone who purchases the Epic Soccer Training program gets Epic Soccer Fitness Guide, Nutrition Guide, and Training Vault for free. Impressive soccer skills aren’t God-given. It takes months, even years to reach excellence. And no matter how good you are, there’s always room for improvement. Epic Soccer Training can help any player or coach to take their skills to a whole new level. It provides extremely useful tips for upgrading every player’s skills. Epic Soccer Training is a well-organized training program that can help beginners and world-class players alike. There are 3 separate modules for each stage of your growth as a soccer player. The creator of this program Matt Smith is a former professional player and all teaching methods come from his own experience. You can learn from an All-American player and skip rookie mistakes with this great soccer training program. And if you’re not satisfied with the results, you can ask for your money back. Link doesn’t work anymore. They took my money pretty quickly..Kids were getting used to the program. Scam! I bought this Jan. 2017. My kids worked on it and really improved. The Epic Soccer Link doesn’t work anymore. What happened? Bought this program a few years ago, and now I cant even use it anymore so thanks whoever created this for taking my money! Amazing program, helped me so much with my passing! It’s so convenient that you can play it whenever and wherever you want. My boys just love it! I’m a dedicated soccer mom and it makes me so happy when I see my boys enjoying their games. And they love winning, so I bought them Epic Soccer to help them learn. They watch it every day, already made it to The Factory. Very good job, son. I’m a coach, but still can use your program. It helps a lot with young players. I wish you had more coaching material, though. I’m a pro and still got some moves from you dude! Cool stuff here and not expensive which isn’t so important for me, but it can be for the kids that are starting just now. I didn’t like your fitness guide tbh, but I guess we all have our own ways of getting fit and ripped. My son isn’t making that much progress as you’re saying he would. Not completely satisfied with this training program, but at least he wants to practice a bit more often now.